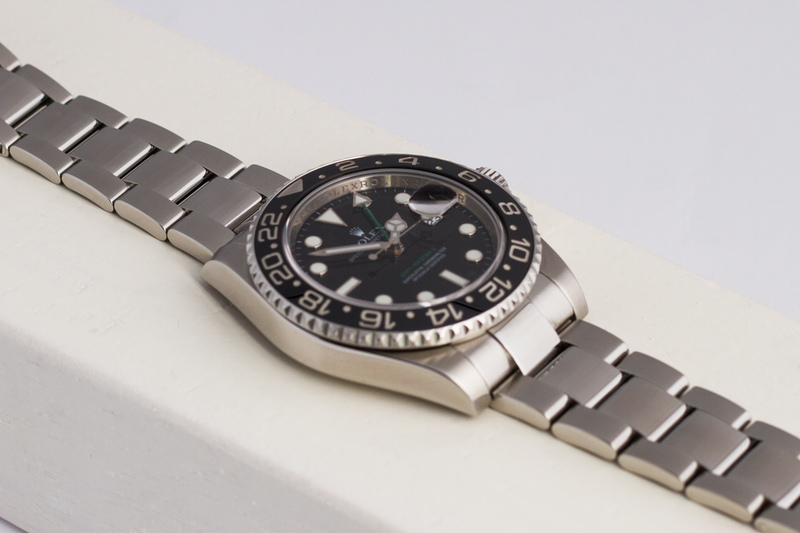 The first owner really took good care of his beloved GMT over the last nine years. 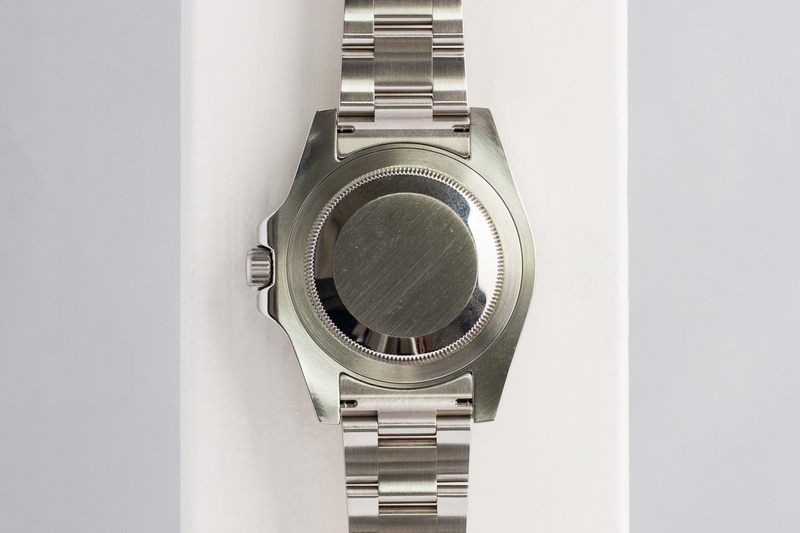 As expected the watch was full of hairline scratches but absolutely no major dents or other nasty stuff. 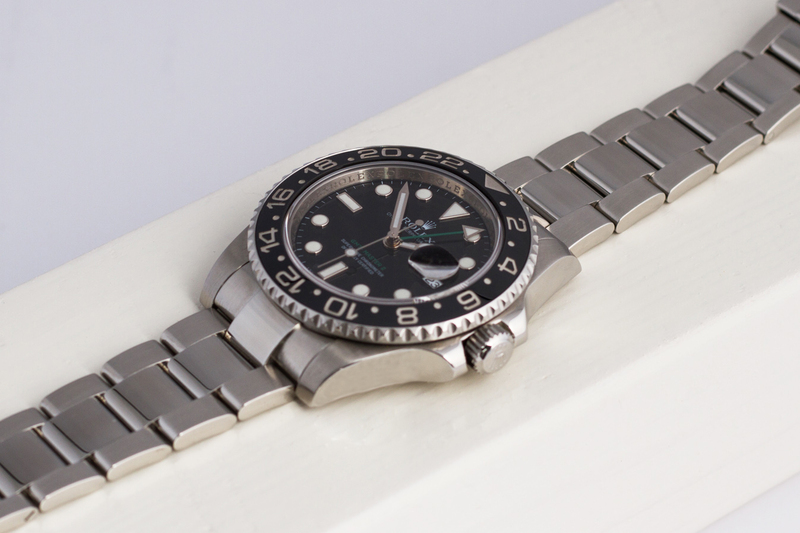 After a visit to the Rolex spa and a movement service, the GMT is absolutely like new again! The watch is accompanied by the white cardboard sleeve, outer and inner boxes, red and green hangtags, bezel protector, booklet, map, cloth, service-booklet and filled out Rolex warranty! – A wonderful, and truly full set! 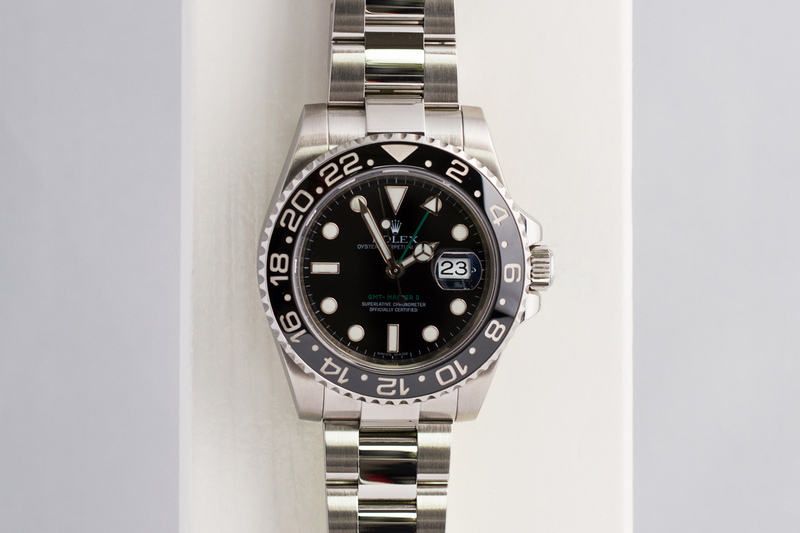 As mentioned above, this GMT II was fully serviced according to the Rolex specs and is in an absolute mint condition!